Baltimore City has extended the current Code Blue alert through Monday morning, Jan. 8th, because of “dangerously cold temperatures”. 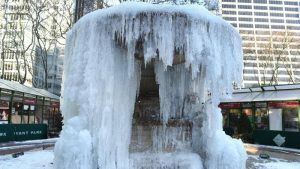 The city is encouraging residents to “stay indoors in heated areas”. Therefore the lodge has cancelled the Open Discussion program for Jan. 7th. Please note that there is already no program scheduled for Sunday, Jan. 14th because of the Martin Luther King Holiday weekend. We hope to see you at Library Night, on Wed. Jan. 17th, 6-8 pm; and/or Sunday, Jan. 21st, 1-3 pm for a DVD and discussion on Clairvoyance and ESP: Connecting to the Spirits. Stay warm, and, if you can, please help others to do the same!